HB Sauce (otherwise known as Kevin Longman) has been dabbling in the world of waxmaking for a while now, and he wanted to make a wax fit for a king (or at least connoisseurs of fine wax, like you good folks that shop for Dodo Juice). Using his wealth of knowledge as a detailer and chef equally, he knew what he wanted to achieve, and so he headed to the waxcave. Some say he emerged days later, others think it was weeks. In truth, no one knows. Time works differently in the waxcave. All we do know is that Beady Eye was the result (and that he had more facial hair than when he entered). A triple pour in every sense, all three hybrid in origin as well. First the white eyeball, then comes the lime slime and then dashings of wax blood to top it off. Not only does it smell gorgeous, but the performance is amazing (as you would expect from a hybrid). 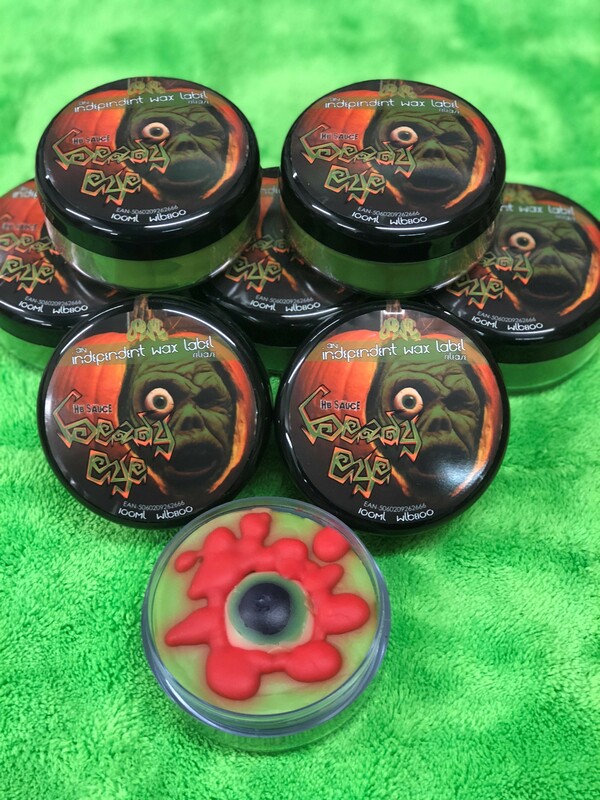 Beady Eye is limited to 333 pots just in time for Halloween, so take it as an OMEN that your car will be SHINING, you won't regret IT. Yes, that's right, you escaped eye puns but not the Halloween ones. MU WA HA HA HA.